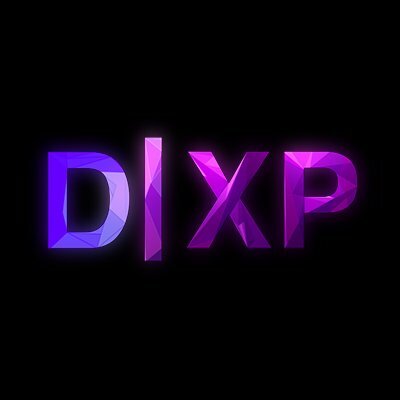 DXP was a block that aired on Disney XD from 9 pm to 3 am every night during the summer of 2017. The block contained content produced by Disney Digital Network (under the Polaris banner) and Digomind Productions, along with shows produced by other companies like Vice, Attack Media, and IGN. Video game tournaments, including the Super Smash Bros. for Wii U and Street Fighter V EVO tournaments, were also broadcast on the block. DXP began on July 15, 2017 and ended sometime in November 2017, although some of their bumpers are still used today for gaming related programs that air on the channel. Various episodes of certain shows that aired during the block are missing. DXP and its programs were initially announced on July 14, 2017. The press articles sent to various websites, including Laughing Place and Mashable, and included short descriptions of their shows and announced that the block would be for general audience (with a focus on viewers 13 and older). July 15, 2017 marked the first day of the block, including the first episodes each of Polaris Primetime and Parker Plays, along with a special broadcast of the Disney animated film Wreck-It Ralph. On July 16, DXP broadcasted the Super Smash Bros. for Wii U and Street Fighter V EVO tournaments (the latter of which also aired on ESPN2) live. DXP's final live broadcast was the 2017 Nintendo World Championships in October. In November, the block temporarily ended. However, Disney XD still airs reruns of Parker Plays and Polaris: Player Select, and they also aired a series of Madden NFL 18 tournaments in conjunction with ESPN in early 2018. The return of DXP was announced on June 7, 2018, with the announcement that they would be teaming up with IGN to air live coverage of E3 2018. Parker Plays and Polaris: Player Select were also renewed for second seasons. It is currently unknown whether or not shows from the past year will receive reruns. During the time DXP was still on the air, their shows were made available on demand. However, these airings quickly disappeared and haven't been available for months. A few episodes of certain DXP shows are available on their official YouTube channel, but not all of them (with the exception of The IGN Show, which has its entire series available online with a few edits). Parker Plays and Polaris: Player Select still air on Disney XD regularly and were renewed for a second season in May 2018. Captain B. Z. and video, two members of the Lost Media Wiki community, recorded many of the shows that DXP aired over the summer. Captain B. Z. has also begun uploading full DXP recordings to his Internet Archive page. However, a few episodes of certain shows remain lost until further notice. The Attack - Episode 19 "Battle Rap-Sody"
ESL Speedrunners - Episode 2 "Mario Kart 64", Episode 4 "Super Mario Bros.", Episode 8 "SGDQ - The Vast World of Speedrunning"
FOUND*Waypoint Presents - Episode 5 "Halfcoordinated"
↑ Article on the announcement of DXP. Retrieved 06 Jun '18.